Many ancient sites, especially those lying underground or submerged, are threatened by neglect as public has limited awareness of their presence. Moreover, archaeological heritage is effected by different human activities. 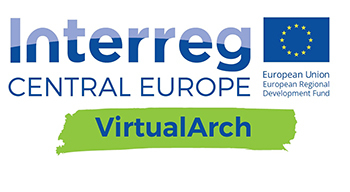 VirtualArch encourages using projection technologies such as virtual and augmented reality. The main aim is to improve its visibility and to increase capacities of public actors in the field of archaeological heritage protection. 10 Partners from Central Europe are testing and exploring innovative visualization approaches and methods, based on different types of pilot monuments facing similar challenges and threats. These monuments include World Heritage Sites like prehistoric pile dwellings, unique prehistoric and medieval mines as well as ancient habours, castles and settlements. By developing target group oriented visualizations and presentations, the level of awareness will not only increase, but also enhance regional economic development, tourism and local identity. PLUGGY is an EU project that aims to develop an innovative social platform and a suite of smartphone tools that will enable individuals, community groups, industry, museums and countries as a whole to bring out, document and share their heritage online – celebrating Europe’s collective heritage. PLUGGY, the Pluggable Social Platform for Heritage Awareness, addresses the need of citizens to be actively involved in cultural heritage activities, not only as observers but also as creators, maintainers and, indeed, major influencers. Through PLUGGY’s social platform and by using its innovative curation tools, designed to solely focus on a niche area in social media, citizens will be able to act as skilled “storytellers” by creating fascinating personalized stories and sharing them through social networking with friends, associates and professionals. Over the next three years, PLUGGY is expected to launch an inventive, Facebook-like social platform as well as a suite of Augmented Reality, Geolocation, 3D Sonic and Gaming smartphone apps that will enable citizens across Europe and the world to shape and pass on both individual and collective cultural experiences, thereby enhancing the value of cultural heritage and contributing towards its enrichment. ISPRS is an international NGO devoted to the development of international cooperation for the advancement of knowledge, research, development and education in the Photogrammetry, Remote Sensing and Spatial Information Sciences (P&RS&SIS), their integration and application, to contribute to the well being of humanity and sustainability of the environment. The ISPRS membership comprises and professional Societies representing over 100 nations and regions covering all continents. CIPA Heritage Documentation is a dynamic international organisation that has twin responsibilities: keeping up with technology and ensuring its usefulness for cultural heritage conservation, education and dissemination. This dual role is exhibited in our parent organizations: ICOMOS (International Council of Monuments and Sites) and ISPRS (International Society of Photogrammetry and Remote Sensing). The ​DANDELION project aims to support the uptake and valorisation of Inclusive, Innovative and Reflective Societies (IIRS) research and improve its dissemination towards citizens, policy makers, academia and media. This will be achieved through a series of innovative and creative communication activities targeted at a range of audiences.